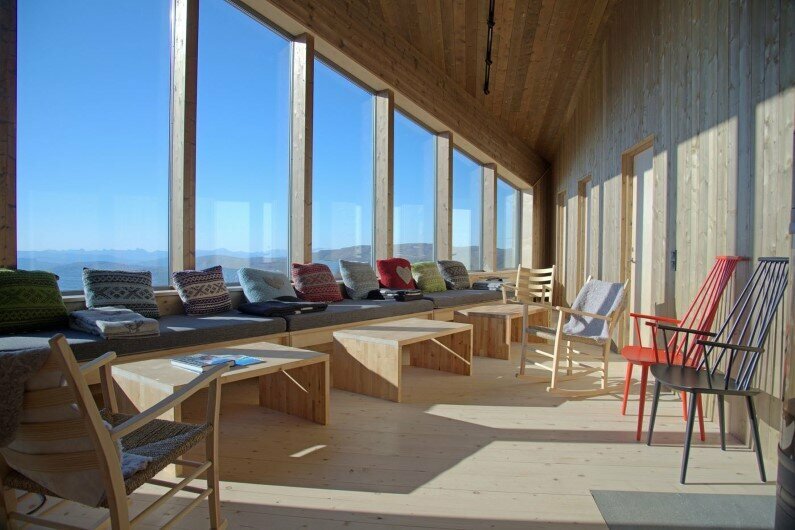 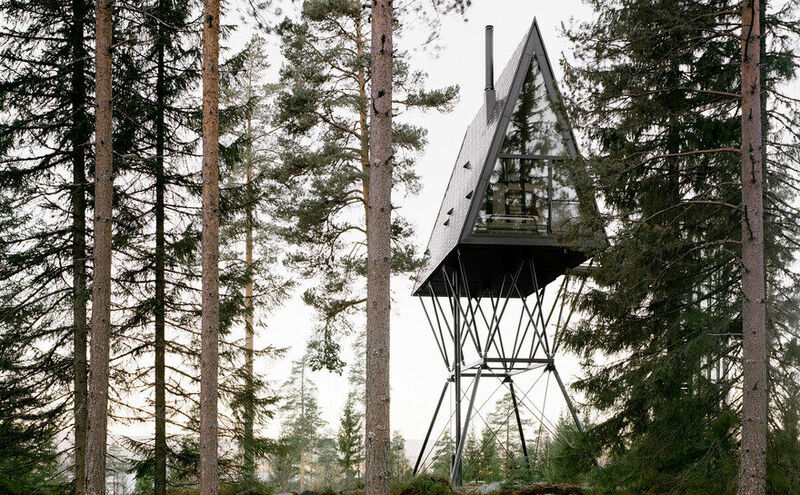 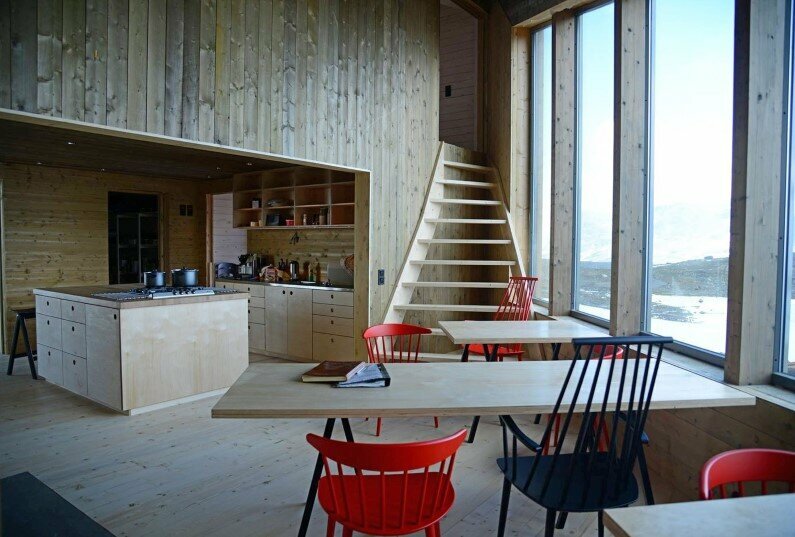 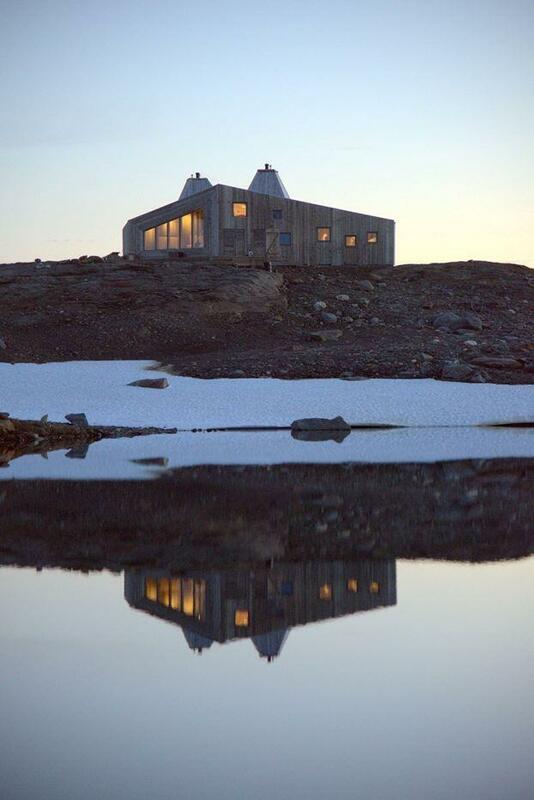 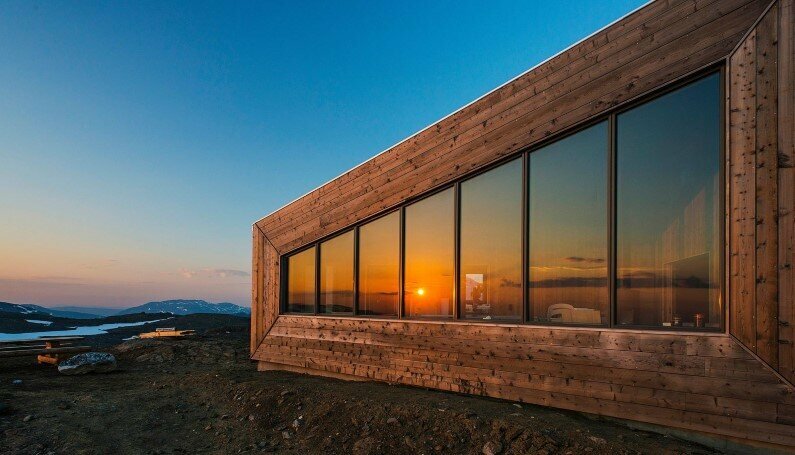 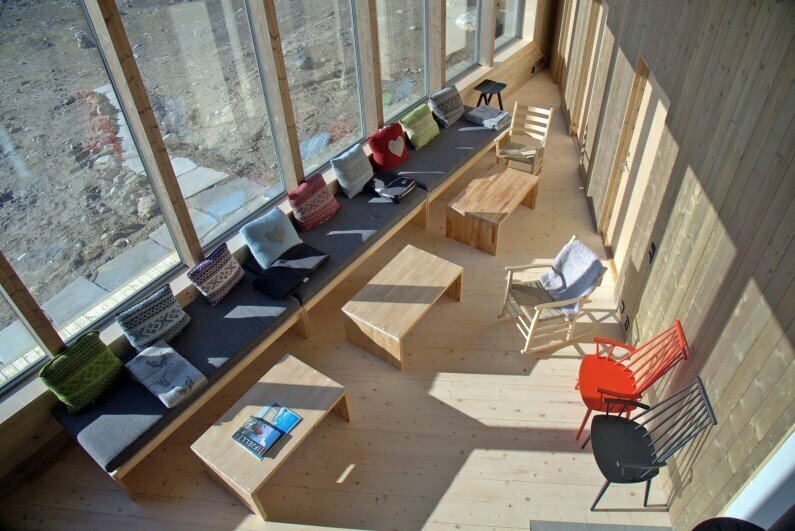 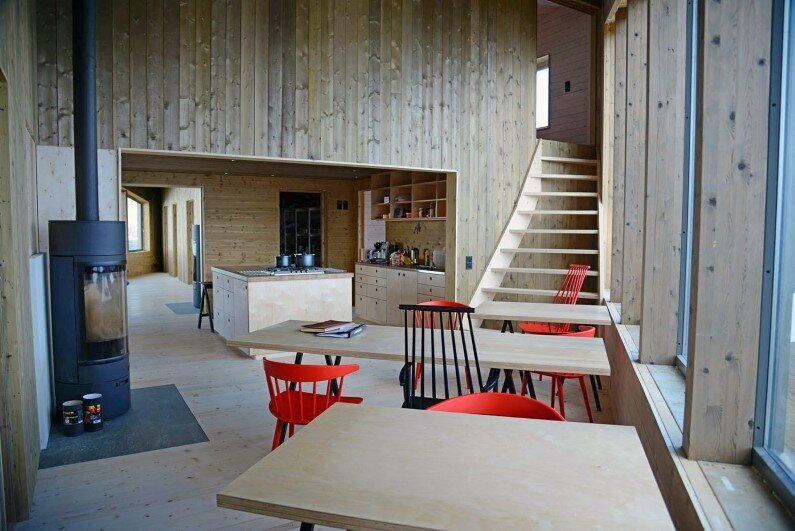 The architect’s description: The Rabot Tourist Cabin is one of many DNT (Norwegian Trekking Association) lodging facilities throughout Norway. 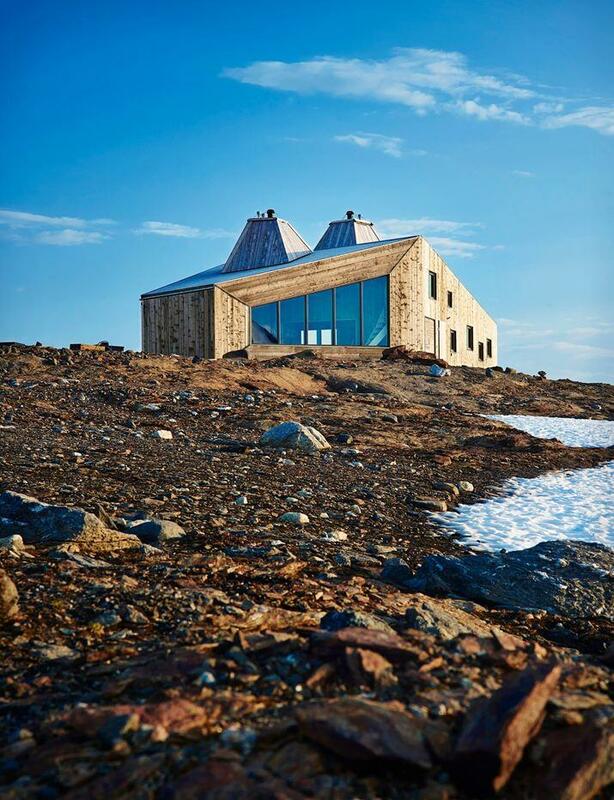 It is located at 1200 meters above sea level, close to the glacier at Okstindan in northern Norway. 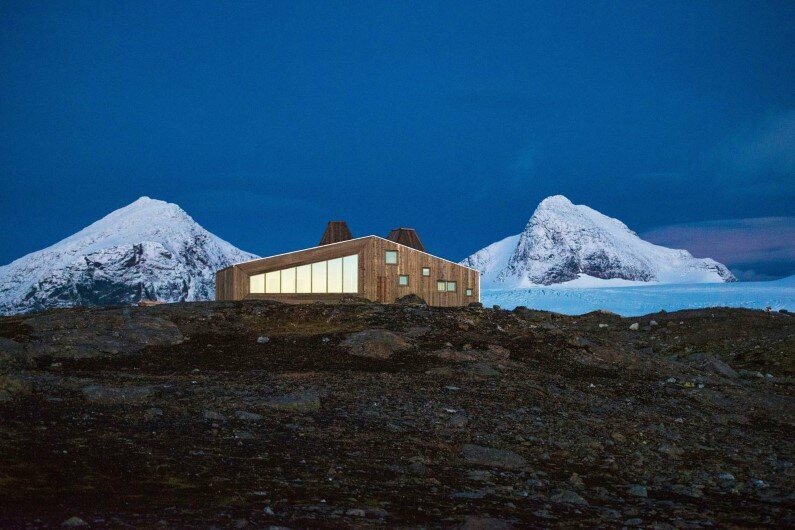 The site is spectacular and the mountains and glaciers are in close proximity. 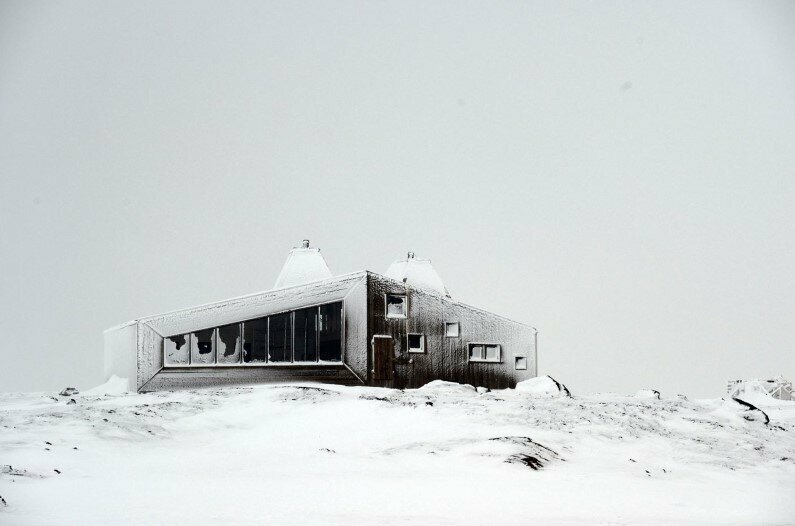 The weather can be extremely harsh and the structure is constructed for heavy winds and storm. 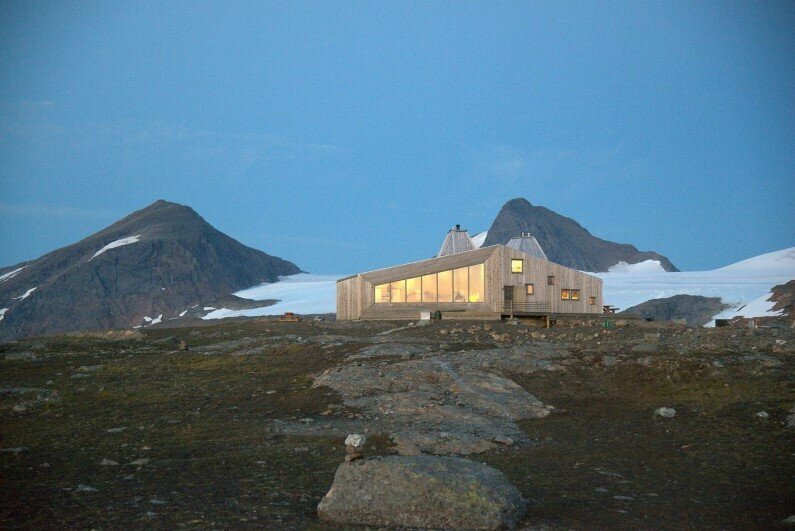 A secondary rescue hut is placed 50 meters away from the main cabin as a safe shelter in case of destruction of the main cabin. 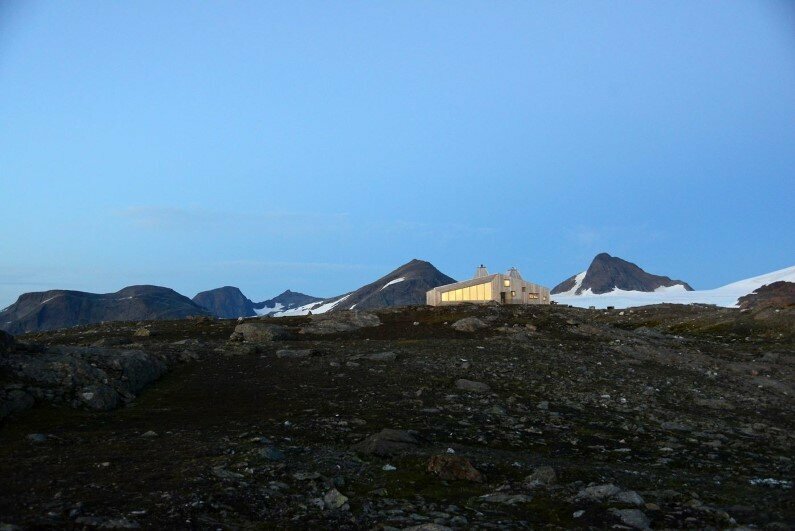 The site inaccessible by road and is only reachable on foot or on skis. 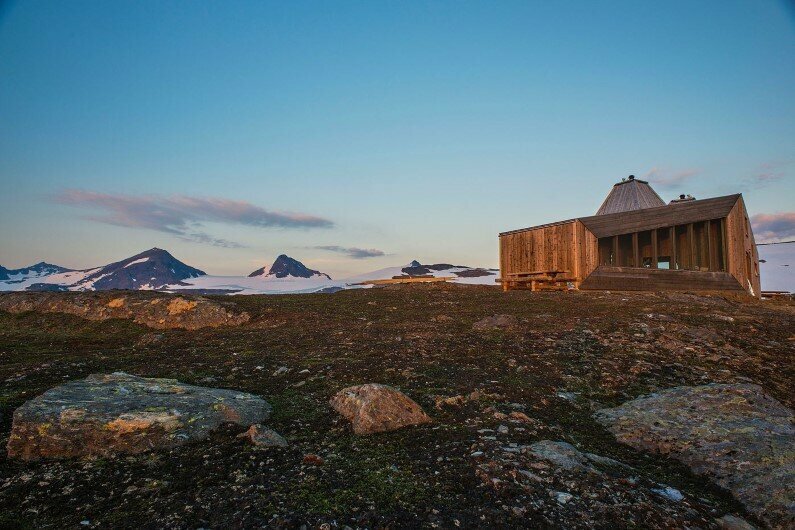 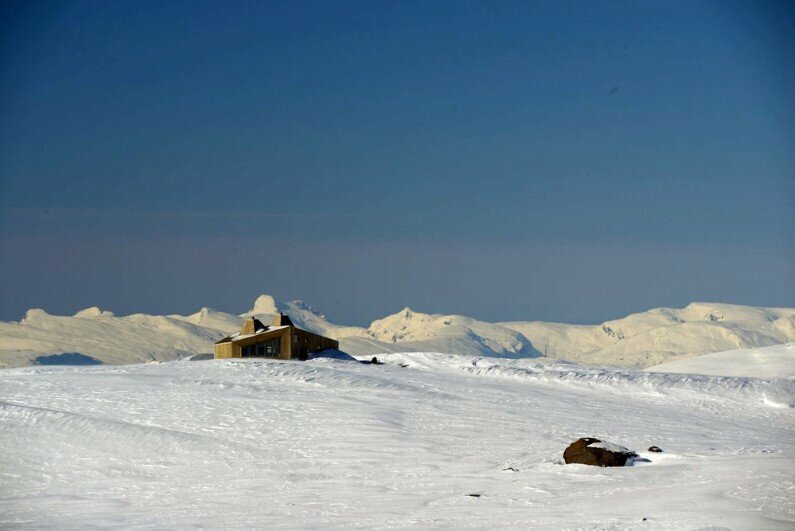 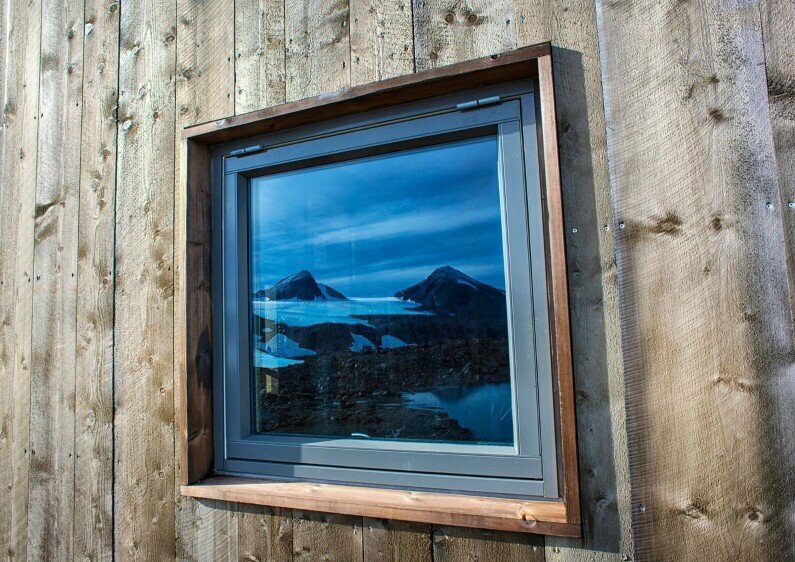 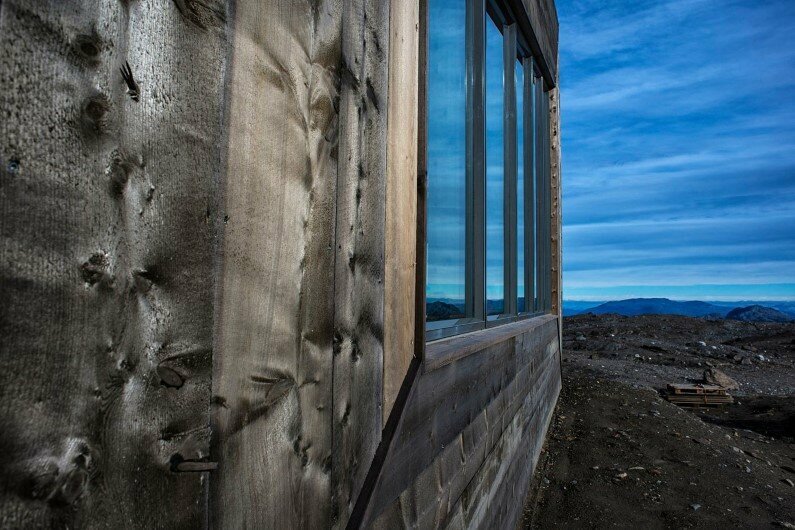 The cabin is named after the French glaciologist and geographer Charles Rabot who thoroughly explored the mountain areas in the province of Nordland in the 1880s. 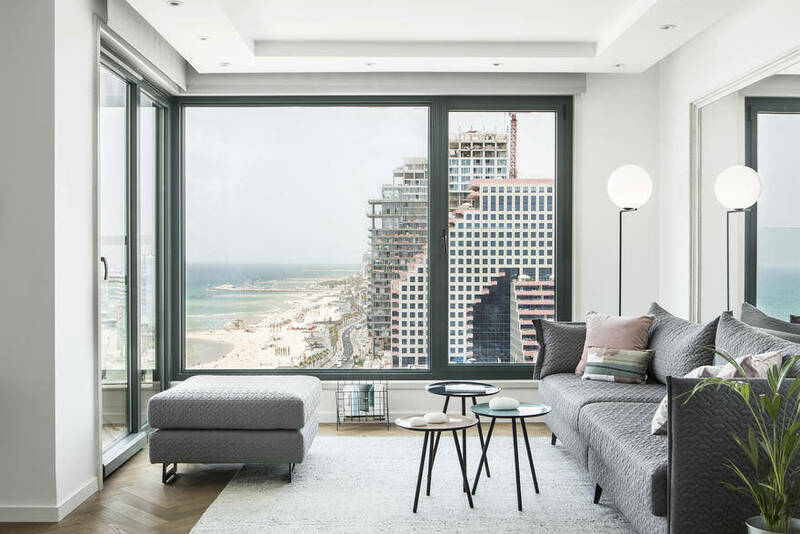 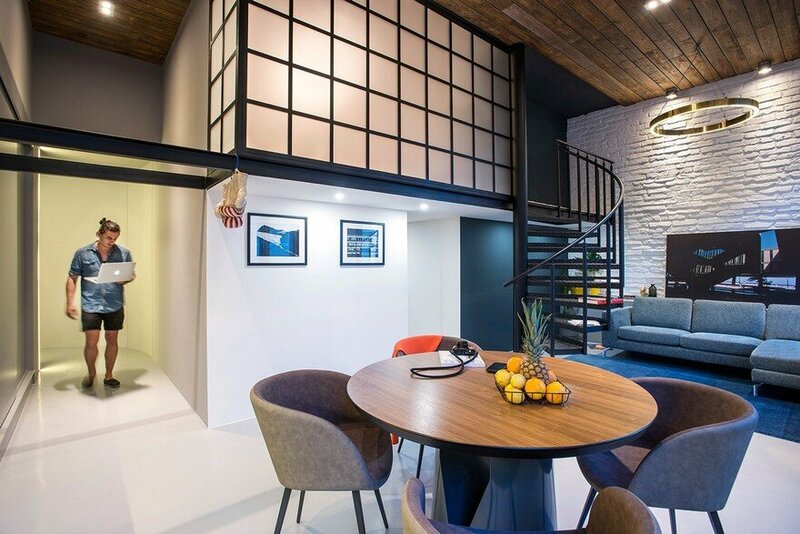 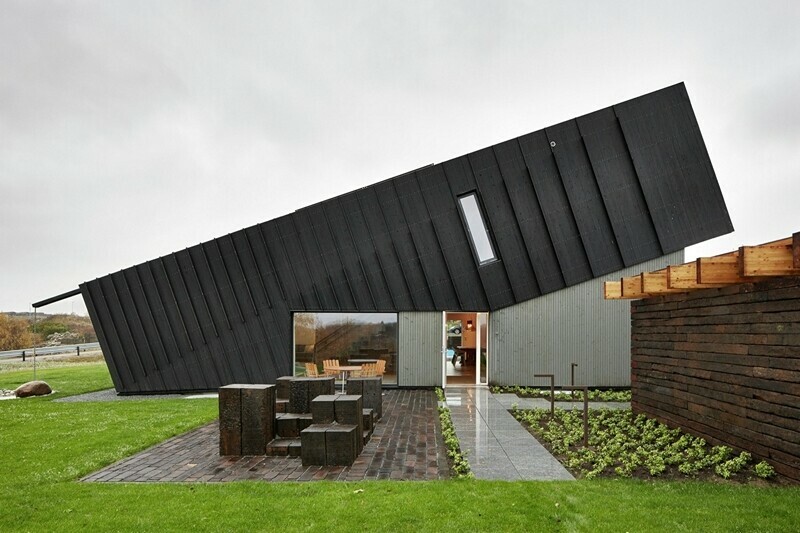 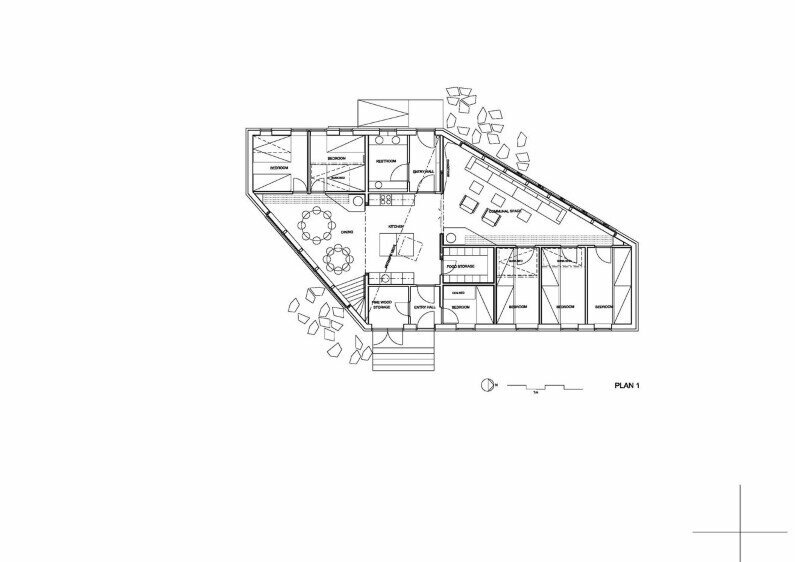 The main cabin is an eye catching yet neutral volume in the landscape with a diagonal programmatic and spatial concept. 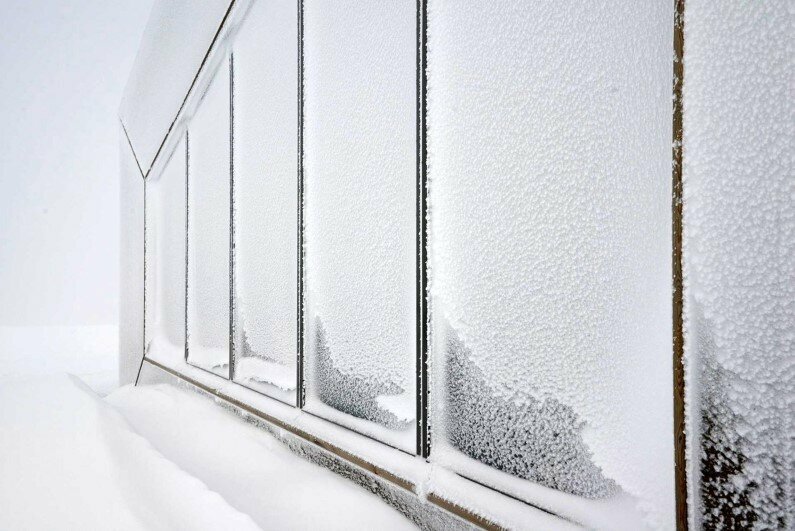 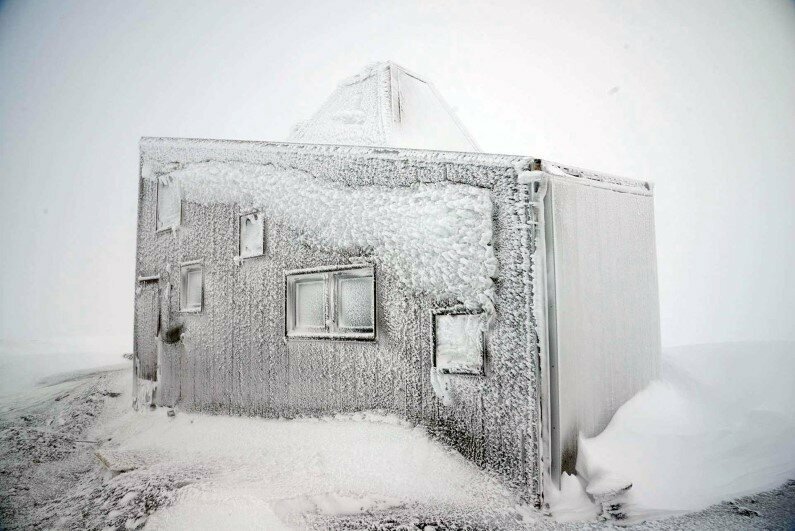 The behavior of snow and heavy winds at the site, have generated the simple shape of the cabin, without protruding elements. 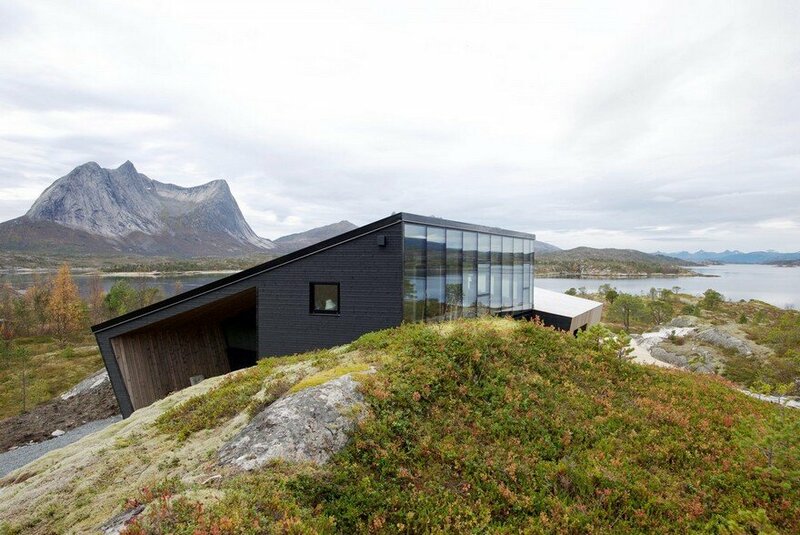 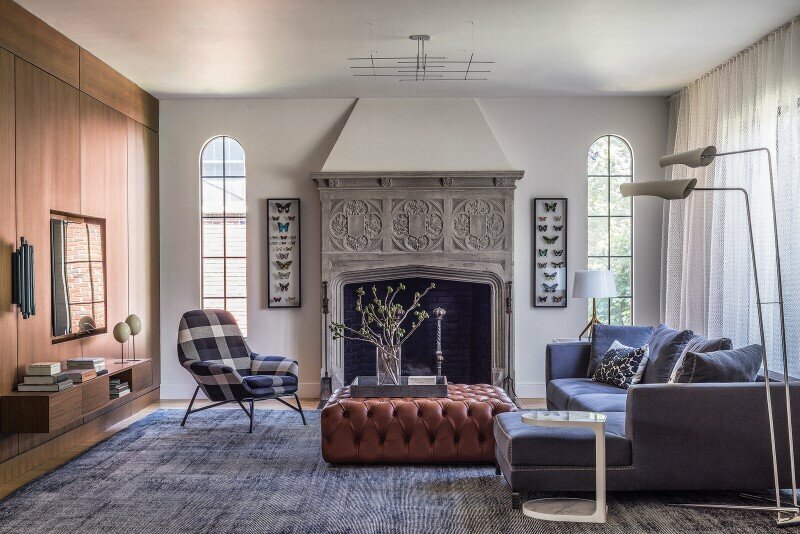 The shape of the two chimneys mimic the topography of the mountain tops. 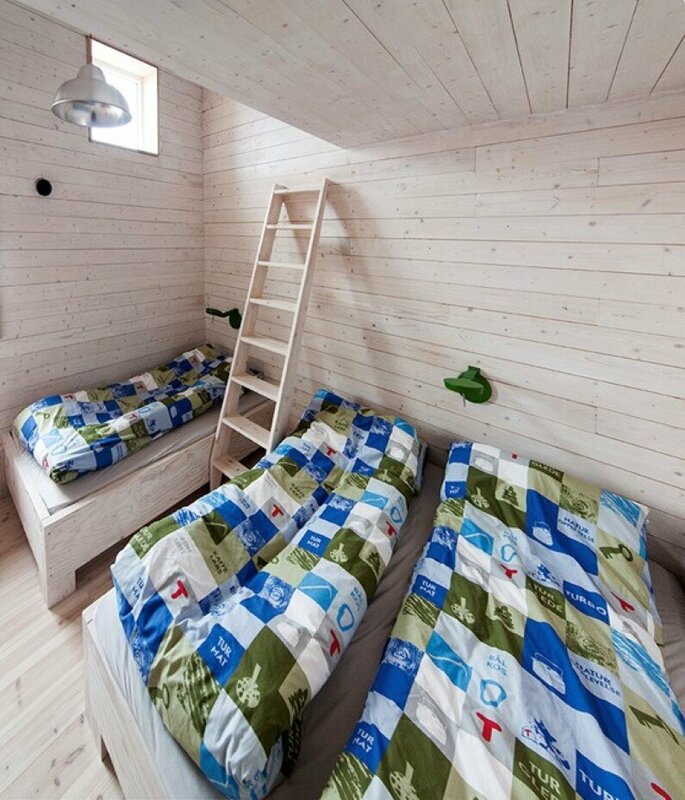 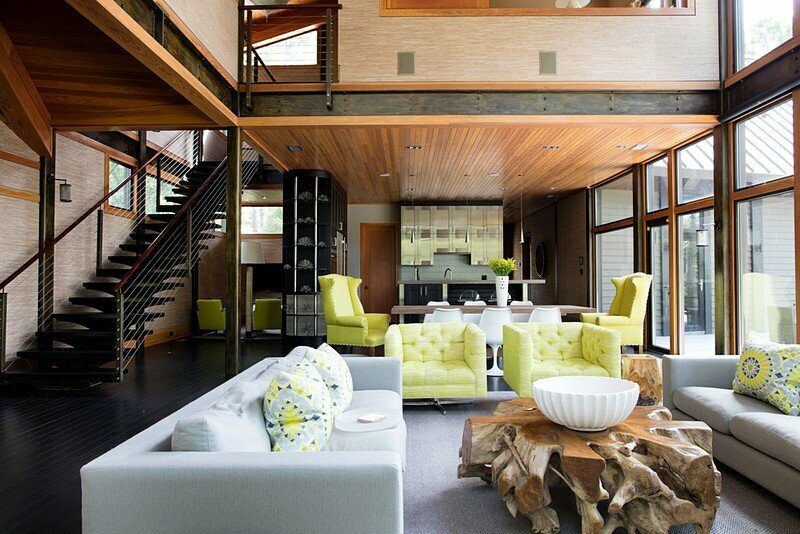 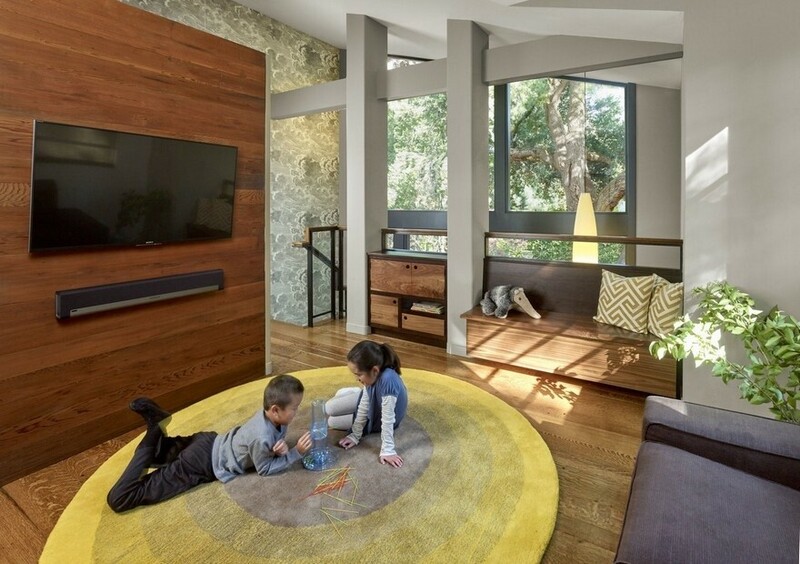 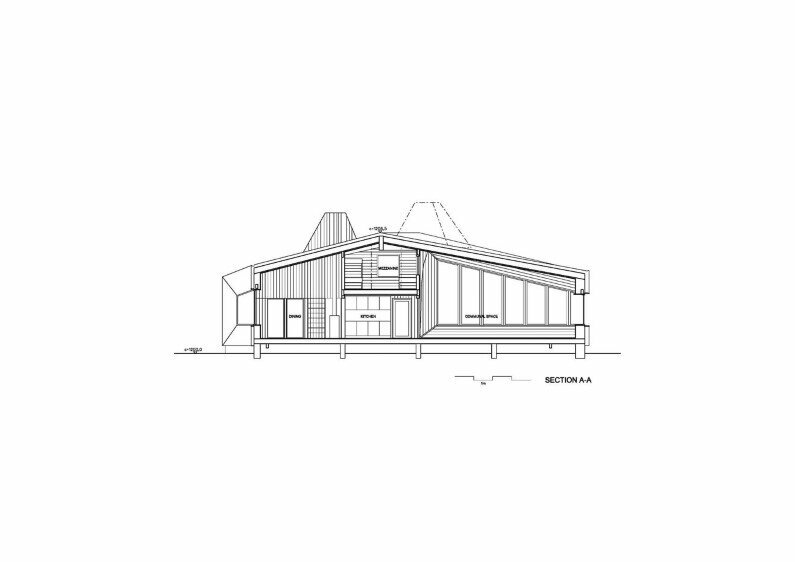 The cabin is planned and built with local materials and with great local commitment.